The average debt ratio of South Korean listed firms has been cut by a third compared to the period of the Asian financial crisis in 1997, a data found on Thursday. According to a report released by local market researcher Korea CXO Institute, debt-to-equity ratio of the nation’s top 1,000 listed companies by sales stood at 174 percent this year, down by almost 70 percent from 1997 when the government had to seek an international bailout to the International Monetary Fund (IMF) to prevent a national default crisis. The number of firms with debt ratio exceeding 400 percent significantly shrank from 342 in 1997 to 61 in the first half of this year. 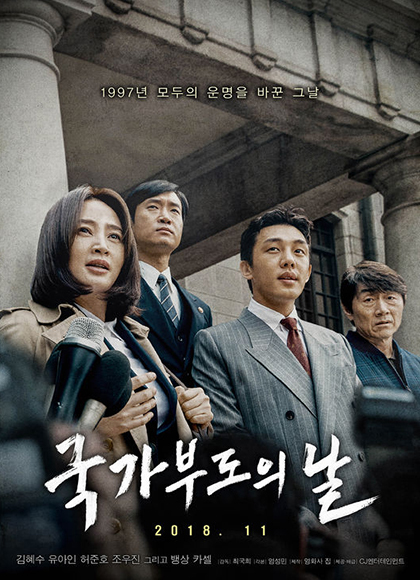 The stark difference in financial integrity data comes under a fresh spotlight as the film “Default” portraying the behind-the-scene of the time the country had to seek bailout in 1997 has become a box-office hit since its release over the weekend. When a company has a debt ratio falling below 200 percent, it is regarded as financially sound. A debt ratio of 300 percent or higher means a firm’s borrowing costs affect its profits, and 400% or higher means the company is on the brink of bankruptcy.